DETROIT -- General Motors Co. said Volkswagen AG CEO Martin Winterkorn is stoking speculation that GM's German-based Opel unit is for sale. Winterkorn was quoted in the German Frankfurter Allgemeine Zeitung newspaper saying that if Opel were for sale, a Chinese automaker would be more likely than Hyundai Motor Co. to buy it. Detroit-based GM said on its Web site that Winterkorn's comment "continues a regrettable pattern of fanning speculation" that Opel is on the sales block. 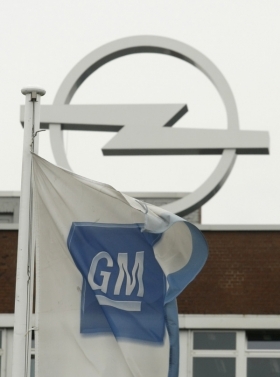 German magazines Der Spiegel and Auto Bild reported last month that GM may be considering a sale of Opel. GM has called such reports speculation and not commented on them. The company said it's restructuring the business and is showing progress. Winterkorn shouldn't have made the remarks about a competitor, said Maryann Keller, principal of Maryann Keller & Associates in Stamford, Connecticut. "He shouldn't have said anything," she said. "To suggest that only a Chinese company would be interested is unseemly." In May, GM said its European operations would have broken even in the first quarter without a $395 million charge to goodwill. GM lost $1.8 billion in Europe last year. In total, the automaker has lost $14.5 billion in Europe since 1999. Opel's market share in Europe for the first five months of this year rose to 7.4 percent from 7 percent and the automaker expects to start making a profit next year. Carsten Krebs, a Volkswagen spokesman, confirmed that Winterkorn made the remarks at a press event in Berlin Tuesday. Winterkorn was speculating who may buy Opel if it was for sale and didn't say the unit is definitively for sale, Krebs said. "He only speculated," he added. "The journalist asked him a question and he speculated. If you read it properly, he doesn't think GM is selling Opel." Keller said that GM would have a tough time selling the unit. Chinese companies would want the technology for Opel's cars, which are used for other GM vehicles like the Chevrolet Malibu and several Buick models. GM would want to keep intellectual property rights, which would make a deal difficult to reach, she said. "If GM sold Opel to a Chinese company, it would only hasten their ability to eat GM's lunch," Keller said. "Without the intellectual property, GM would only be selling some high-cost plants."